The dream of My Father's Home began in the spring of 2007. As soon as the decision was made to build a home for underprivileged children, Pastor Agung, our director's father, began searching the Singaraja area on the Island of Bali for suitable land. After much searching, a beautiful piece of land comprising 1-1/2 acres was found. The miracle of the land was not only its size but the paved road leading to it. Most of the side roads on the island are unpaved and difficult to negotiate especially during the rainy season. Tash, our director, having lived in Jakarta, Indonesia before coming to America, knew of and contacted a Christian married couple who were both architects and interior designers. They, in turn, knew of a Christian contractor and that formed the team who designed, constructed, and furnished our buildings. This was an important and integral part of our project as we could be assured of quality planning and and construction from start to finish. Building began in 2007 and was completed in February of 2009. 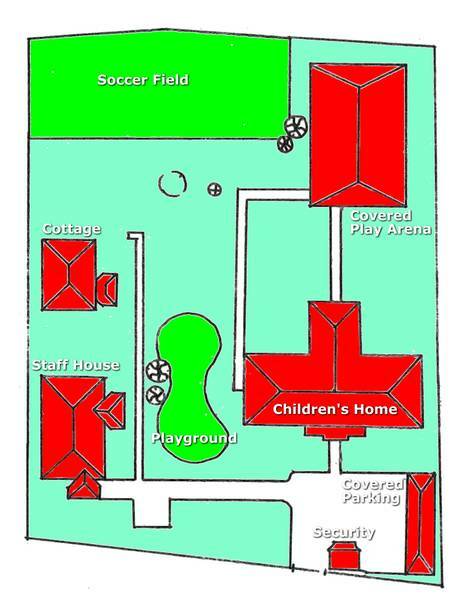 My Father's Home as a whole consists of our Childrens Home, Staff House, Cottage, and Play Areas. For more details on our buildings and our property along with pictures, visit the individual areas of The Home in this section of our website.